I have set up this special page so that you can pay by credit card. Please click on the “Buy Now” button below to make the first payment of $2,348.50. 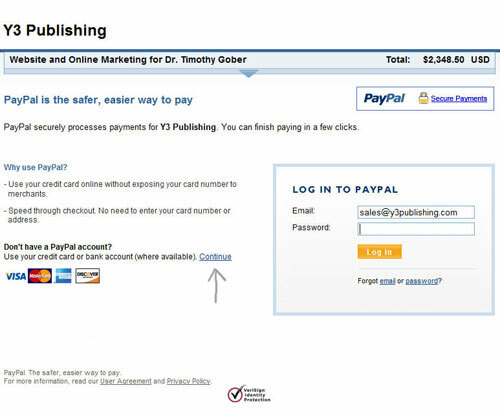 You will be taken to a Paypal page that looks like the image below. Once this is done, we can get our programmers and designers started on creating your new website.